Stranglehold, the collaboration between game company Midway and Hong Kong action director John Woo, is in early talks for a movie version. John Woo's name is not being mentioned as the director. Instead, actor-writer-director Stephen Fung (Enter The Phoenix, House of Fury) is in negotiations to helm John Woo game. 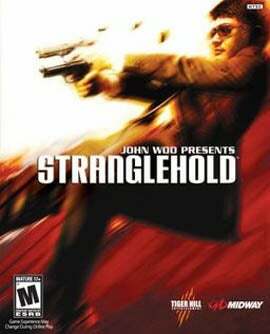 According to John Woo's producing partner Terence Chang, the Stranglehold flick will have a new storyline, but will retain some of the game's action set pieces. The 2007 video game is a sequel to John Woo's 1992 Hong Kong action flick, Hard Boiled. The game stars Chow Yun-Fat, who played inspector Tequla Yuen. The two worked together on the A Better Tomorrow franchise and The Killer during the 1980s. and The video game was the first project the two had collaborated on since 1992's Hard Boiled.